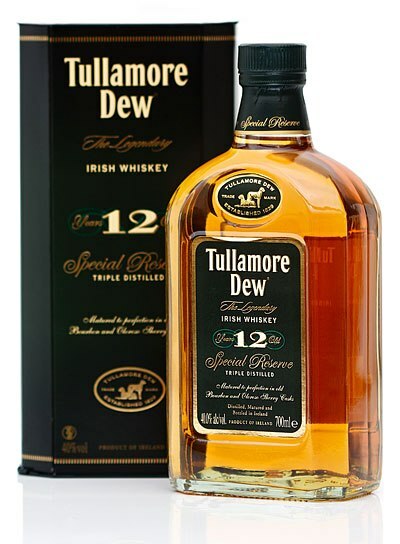 With all due respect to our own ginger SWC member, Doug, Tullamore Dew is the red headed step child of Irish whiskey. This brand has survived a number of owners and configurations throughout the years, however they remain today second to Jameson in US Irish whiskey sales. Which is why you might be seeing more of Tullamore Dew these days on the shelves as well as in print and TV. The brand has recently been purchased by a new owner and re launched via a slick ad campaign. Very soon they will be producing Tullamore Dew in their own distillery rather than that duty contracted out to someone else. Looks like someone is going to try to take out Jameson, or at least make a good run at it. Good luck. Nose– Grain and floral notes up front (cut grass, earthy). Opens up to some sweet notes of vanilla and fruit. Taste– Lively up front with spicy pot still, floral with slight sweetness. Finish – Short to medium, but fades to spice and floral notes. 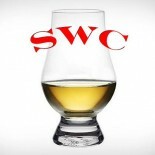 Comment – An improvement on Tullamore Dew Original, but still not quite what we hoped for. Drinkable and moderately enjoyable, at least.